SL200 , Simpulse’s SDR Mobile Data Link Modem, was originally designed to establish powerful and secure video links over very long distances. Instead of applying the modem’s increased receiver sensitivity to establish data links over great distances, the sensitivity margin can also very conveniently be used in Non-Line Of Sight (Non-LOS) indoor areas to compensate for the attenuation of partitions (plasterboard, concrete, etc.) and fadings due to multipaths. 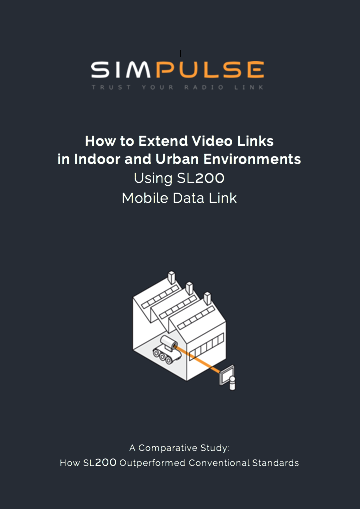 This White Paper illustrates SL200’s performances through a Comparative Study of indoor video transmission between Simpulse’s SL200 Mobile Data Link and a WIFI modem on an Unmanned Ground Vehicle (UGV). Just released! This video shows how SL200 was deployed on board a UAV on a Maritime Surveillance Mission. The Mobile Data Link Modem delivered 3 Mbit/s of video at 55 km distance with 0.4 W Transmit Power and Simpulse's tracking antenna at ground. The radio link delivered Live Video, Telemetry and Bi-Directional Control Command with excellent QoS. Following the release of SL200, Simpulse's Mobile Data Link Modem, the new datasheet is now available for Download. Simpulse's releases SL200, the latest version of its Mobile Data Link Modem. 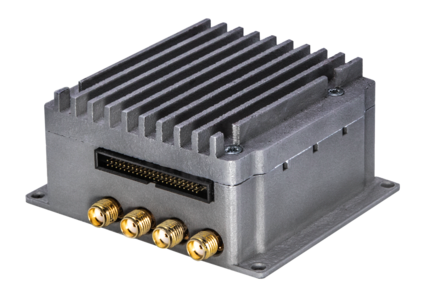 The modem provides high-performance, robust and secure data links with bitrate from 10 kbits/sec to 5 Mbits/sec for long range distance in LOS and Non-LOS conditions. 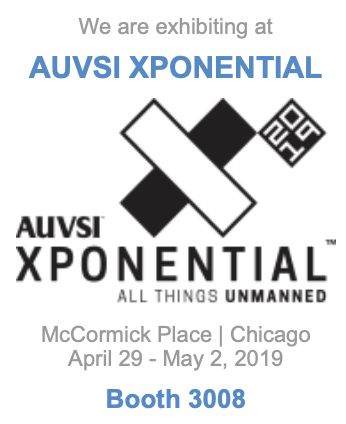 In a surveillance mission over sea it delivered 3 Mbit/s of video at 55 km distance with 0.4 W transmit power and Simpulse's tracking antenna at ground.